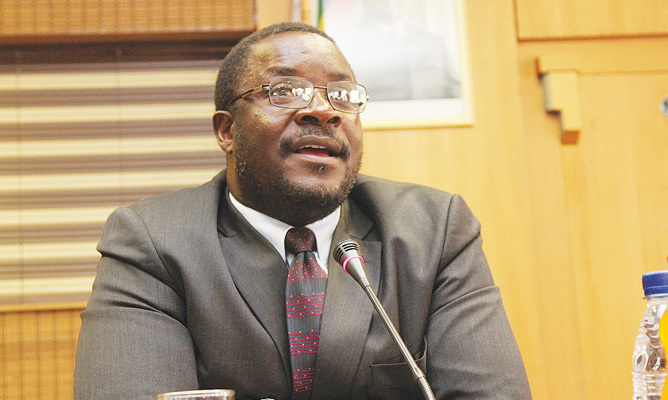 PRESIDENTIAL spokesperson George Charamba's attempts to explain President Emmerson Mnangagwa's apparent reluctance - or refusal - to apologise for the Gukurahundi massacres of the early to mid-1980s, despite setting up mechanisms to deal with the matter, are rather feeble. In fact, what is clear is the refusal to apologise for that "moment of madness", despite acknowledging that it is the very system that he presides over today that was responsible for the massacres. The fact that Mnagagwa, who was responsible for national security between 1982 and 1987, was part of the very system that was responsible for the massacres and still presides over it today, does and should not absolve of him of responsibility. Whether or not he was a junior minister is beside the point. It is quite unfortunate that many people in government today who served under former President Robert Mugabe — including Charamba himself — are quick to pile on the blame on Mugabe when they were his cheerleaders at the time and defended the very same policies they now want to claim were his personal responsibility. That is unacceptable. The fact that they now call themselves a new dispensation does not suddenly make them innocent. A criminal who changes his identity remains responsible for their crimes and must be held accountable for them. To now turn around and say that one person out of a whole functional system is responsible for this atrocity is laughable, to say the least. The government's decision to facilitate the reburial of Gukurahundi victims, help orphans obtain birth certificates and ensure relatives get death certificates for their dead kin is accepting responsibility and can as well be interpreted as an admission of guilt. This means that they should go all the way and apologise. An apology would further confirm their commitment to resolve the issue for once and for all. This would speak to the government's sincerity. There is no reason why things should be done in half measures. It is imperative for government to take full responsibility of what happened during that dark period in the country's history because it was a government programme. That is all; some individuals simply need to find the necessary closure. When Gukurahundi was carried out, it was not an individual decision. For that reason, an apology is due, not because Mnangagwa was individually responsible for the massacres, but because the government that he heads today was.